A partnership with Western Reserve Historical Society. 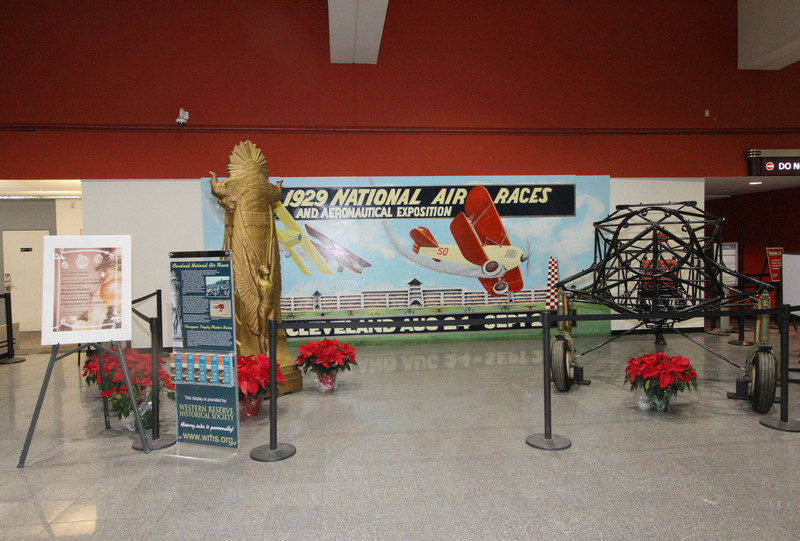 This exhibit showcases the history of the National Air Races and features replicas of the legendary 1932 Gee Bee R-I Sportster airplane and the Thompson Trophy, one of the most coveted awards at the air races. The Gee Bee is unskinned, allowing a clear view of the engineering that created this plane flown by famed pilot Jimmy Doolittle.